Within the last two weeks we’ve heard from a variety of sources on the ongoing real estate/housing market saga. The Federal Reserve, Harvard University, and Long & Foster, the largest privately-owned real estate company in the U.S., all weighed in on the current state of the market. And then there’s the news from Long & Foster. The Philadelphia Region, headed by Vice President Art Herling, a Blazing Systems client, reported a 12% increase in unit sales in May compared to last year. “Quite a few of our offices have experienced not only an increase in units this May, but also their sales volume jumped as compared to May 2010.” Herling went on to cite rises in prices in April and May, as a positive sign of recovery. “Since the year 2000, the median price of a home in the Philadelphia metropolitan area has risen 70%, and has dropped only 7% from the peak year of 2007,” added Art. Long & Foster attributed some of their success to the use of technology. (Long & Foster news release, 06/10/11). Art Herling’s website, http://www.phlfp.com/, designed, developed, and hosted by Blazing Systems, features the company’s leading map search IDX system for lead generation, and a quick search and rotating featured properties on the Home Page. ****What can we learn from all this? Effective use of technology can provide competitive advantage, even in the most extreme of market conditions. About 90% of the prospective home buyers are searching for homes on the Internet. 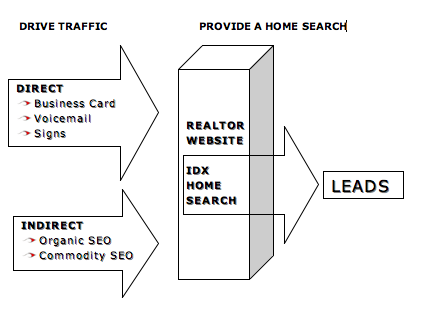 Looking for homes is by far the leading reason why buyers go to realtor websites. To capture share in this competitive market requires a simple two-step approach. STEP #1: Provide an easy-to-use IDX search of the homes available in the local MLS. This satisfies the vistor’s need to look for available properties, and it captures the lead for the website. 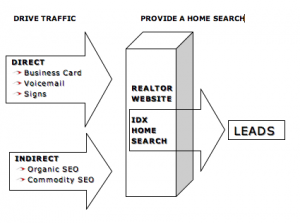 The website realtor is able to get leads on all the properties in the MLS, not just their own listings. STEP #2: Drive traffic to the site. A common error is to build a site, and then wait for the world to beat a path to your door. About 50% of the traffic to your site will come through direct channels. Individuals will type in your URL to go to your site. The other half will find you through search engines. You can achieve long-term results with Organic SEO programs and immediate results with PPC (Pay Per Click) Commodity SEO programs.